There is absolutely nothing that kills a nice dinner faster than a bunch of boring dinner guests. Like that time you invited your cousin -- the granite salesman -- out for steaks, or that other time you got stuck sitting across from a vacationing insurance litigator every night on a cruise ship. But you know who’s not a boring dinner guest? A Testarossa. A Testarossa can sit there all night, not say a word, and still be way more interesting than your pal who sells commercial real estate. And lucky for you, now every weekend in Wynwood you can dine with one. 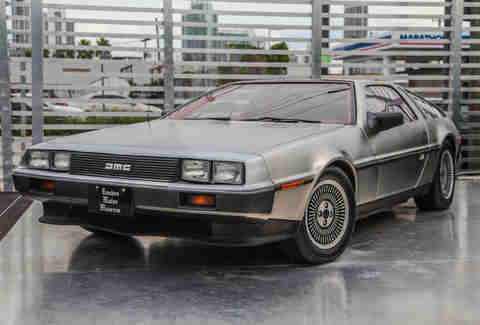 Or a Viper, or, if you play your cards right, an actual real-live DeLorean. Welcome to Miami Supercar Rooms, the brainchild of Elo, owner and founder of the London Motor Museum. 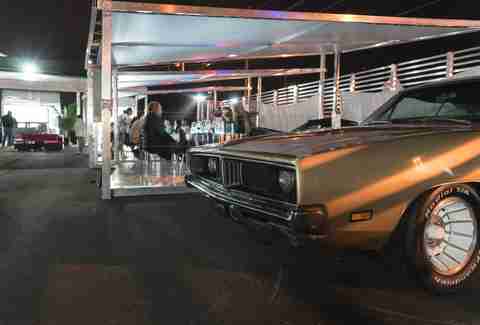 A consummate car guy, Elo dreamed of a restaurant where he could drive one of his collectable cars right inside and eat without having to worry about a valet moving his seat or a hoodlum trying to steal his collection of Winger tapes. And while vacationing from London a few years ago, he found Wynwood and thought it the perfect place to make his dream a reality. Just to be clear, YOU can’t drive your car right into this spot on NW 1st Ct and NW 20th St. But Elo can, and his cars are much cooler than yours. 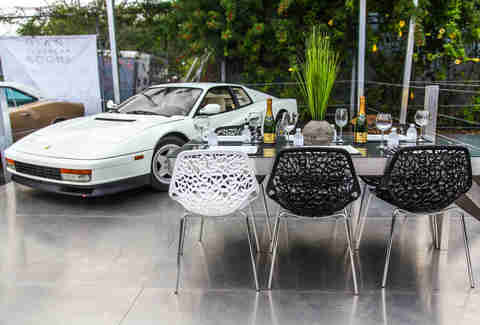 Miami Supercar Rooms is part car museum, part restaurant, where you can reserve one of six “pods” for the night and share your dinner with five of your closest friends and a legendary Supercar. 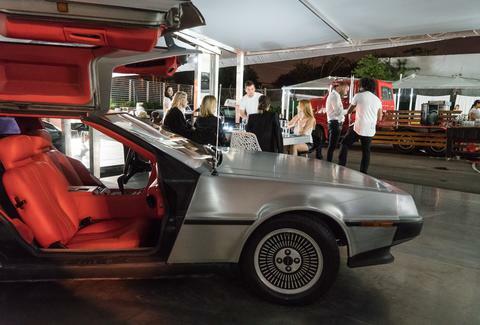 The cars were previewed during Art Basel, but it’s open for dinner starting Friday. There is no menu, rather a monthly rotation of visiting chefs from around Miami, crafting custom menus for you and your group. He’ll greet you and talk about what’s on the menu for the evening, before you’re joined by the pod’s attendant who’ll tell you everything you ever wanted to know about your four-wheeled dinner guest, like the 1996 Dodge Viper these fine people are dining with. 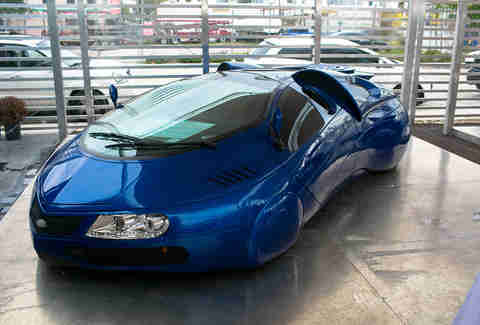 This car was originally designed as a concept car to be used in the movie I, Robot, until Audi stepped in and offered enough money to have the film use their cars. 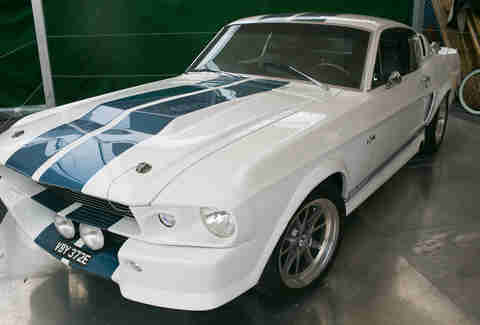 You may recognize this as the car Nic Cage so coveted in Gone in 60 Seconds. It’s not the one from the movie, but it performs just the same. This machine was the result of Henry Ford II’s failed attempt at buying Ferrari. When the Italian automaker walked away from the proposed deal, Ford developed the GT program to beat him on the racetrack, and partnered with boutique sports car maker De Tomaso to sell this speedster in the US. Ok, so the Marlins didn’t make it to the World Series in 2015, and hoverboards aren’t good for really anything except getting Wiz Khalifa arrested. But at least this car is real; ask it over dinner if Michael J Fox is really that short in person. And what Miami car show would be complete without a white Ferrari? The first season of Miami Vice would, actually. 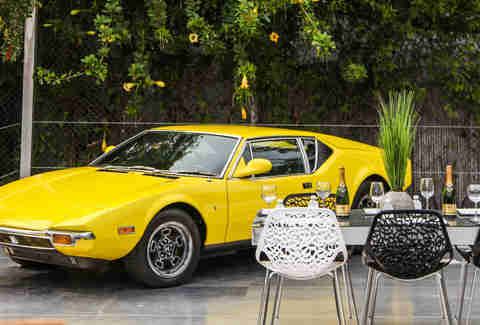 While the Testarossa you’ll be eating dinner with is real, the Daytona used on season one of the show was actually a fake, made of fiberglass on a Chevrolet frame. Ferrari sued NBC after the first year, gave them a deal, and ensured Crockett and Tubbs were rolling around in the real thing -- like this one -- from then on. Glad you asked. 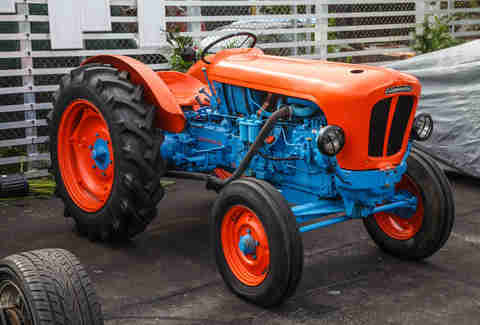 In the middle of it all is a Lamborghini tractor, one of only a few in the world and the only one in the US. Before he was making South Beach’s favorite rent-by-the-hour douchemobile, Ferruccio Lamborghini got his start making agricultural equipment in post-World War Two Italy to take advantage of government subsidies. True story. And even if you can’t plunk down the $3,000-or-so to have dinner with your favorite Supercar, a free membership to the facility still lets you gawk. The showroom’s got cars even crazier than the ones outside, including 1960s-era Formula One cars from Ferrari and Maserati. Also inside: the 2007 Shelby SuperCar Ultimate Aero TT, which at the time was the fastest production car in the world at 256mph. 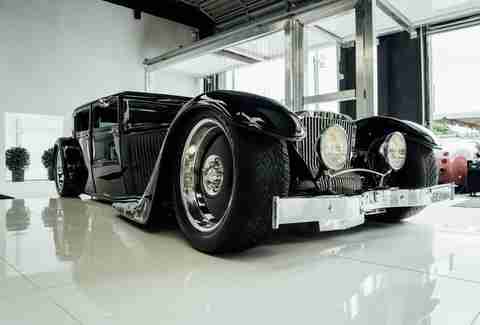 Or, if Rolls-Royces are more your thing, here’s the one-of-a-kind Bootch, custom-made in 1929. 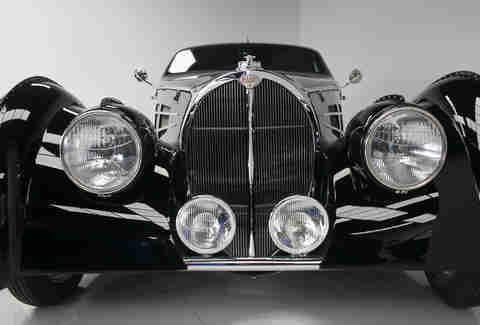 Another car you’ll never see elsewhere: a 1937 derivative of the only Bugatti Atlantic, known as the “Pacific,” built by the famed Terry Cook of Delahaye USA. And though we never met old Terry, we’re willing to wager he was still better dinner company than your cousin the granite salesman. Matt Meltzer is a staff writer with Thrillist who once had an impressive car collection that included an original baby blue Saturn. Follow him on Instagram @meltrez1.